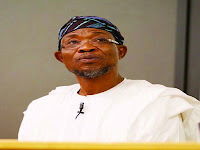 The Osun State All Progressives Congress (APC) has attributed the recognition the state has been getting locally and internationally to the sterling performance of the Rauf Aregbesola administration and the good leadership of the ruling party. The party urged the residents to join APC in showing gratitude to God. In a statement yesterday in Osogbo, the state capital, by its spokesperson Kunle Oyatomi, APC said Aregbesola and his team had placed Osun on the map as a pace setter among the progressive communities in Nigeria. It said: “Osun is progressing, despite the uninformed, malicious and demonic attacks and condemnation of any and everything Ogbeni Rauf Aregbesola-led APC government has done and continues to do (since 2010) to develop and distinguish the state from others. APC said the latest of such recognition and appreciation of the development taking place in Osun was the event in the state capital, Osogbo, last week. At an empowerment programme in the capital city, the Director General of the Industrial Training Fund, Sir Joseph Ari, acknowledged that Governor Rauf Aregbesola had raised the bar of governance through numerous social intervention programmes that had impacted positively on the lives of the citizenry. Ari described Osun State as a “trail blazer” in the empowerment of youths in Nigeria. The Industrial Training Fund (ITF) had collaborated with the Federal Government to train Osun youths in various skills under the National Industrial Skills Development Programme (NISDP). Osun had been deliberately and intentionally chosen for the programme, after Abuja, according to Sir Ari, primarily because of what he called “the high sense of commitment attached to youth empowerment by Governor Aregbesola”.